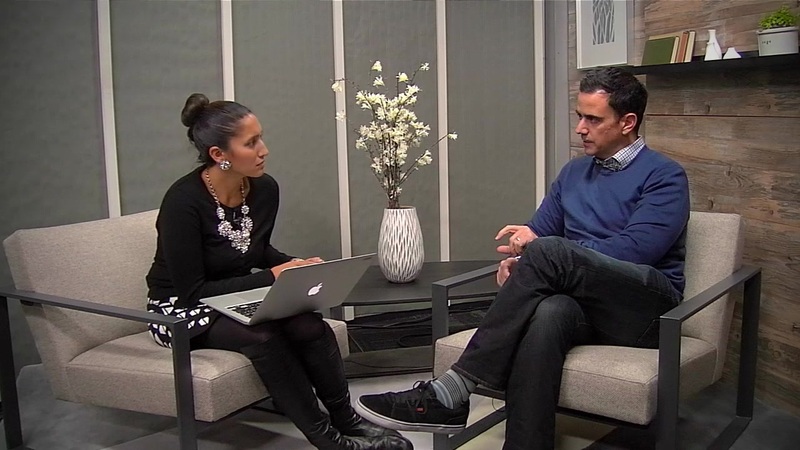 It’s no secret that many viewers were getting tired of the blue bubble background in TechCrunch TV videos (it had a good run, but after nearly three years, we were too.) So over the Thanksgiving holiday, the TechCrunch TV team picked up some hammers, saws, and glue guns and gave our humble studio a DIY fashion makeover. Our main goal was to update our sets to be a little more clean and modern. 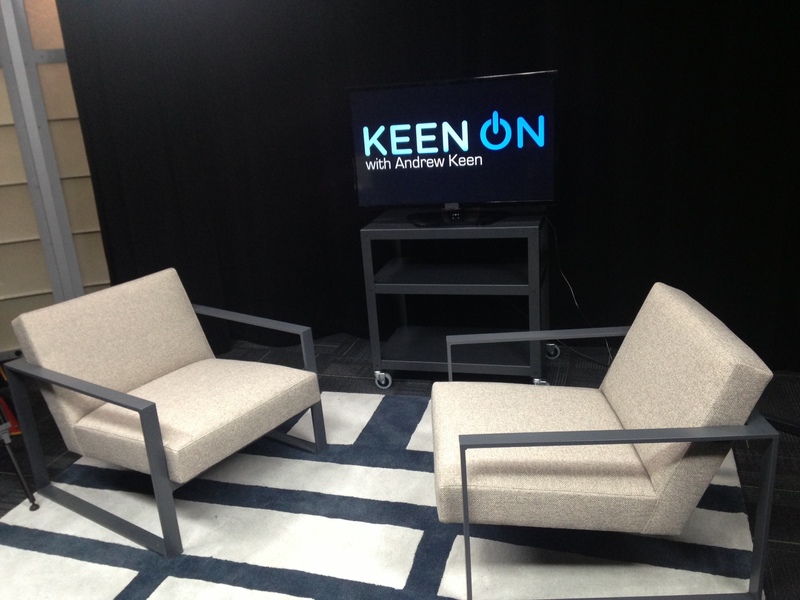 We also wanted to give each show a unique style and look so that loyal viewers can instantly see the difference between an episode of Ask A VC and an episode of Keen On. 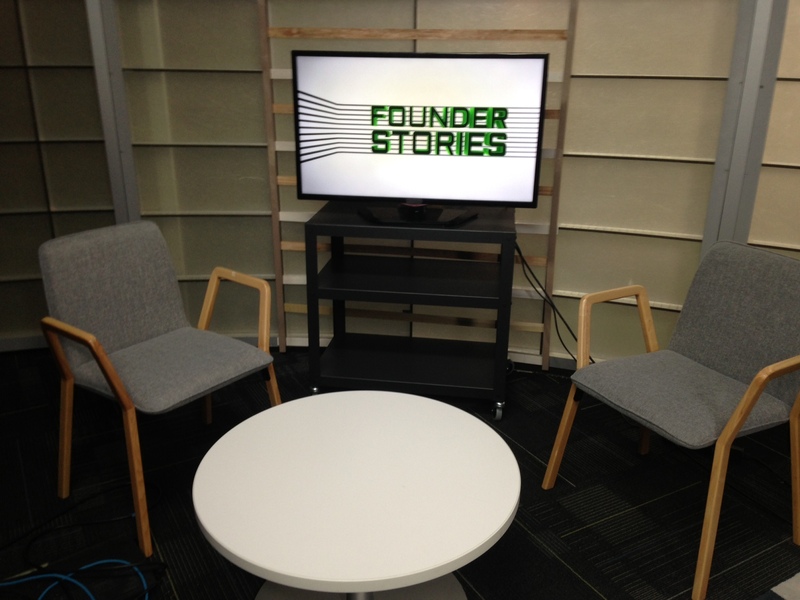 This TCTV team project reminded us that we still have some scrappy startup in us. As videographers, it’s not often we find ourselves covered in paint or drilling through brick. Turns out that we had to do things the wrong way a few times before we got it right. Admittedly, our new studio sets are by no means perfect, but we’re happy with the results overall. We still have some design, camera, and lighting tweaks to finish. 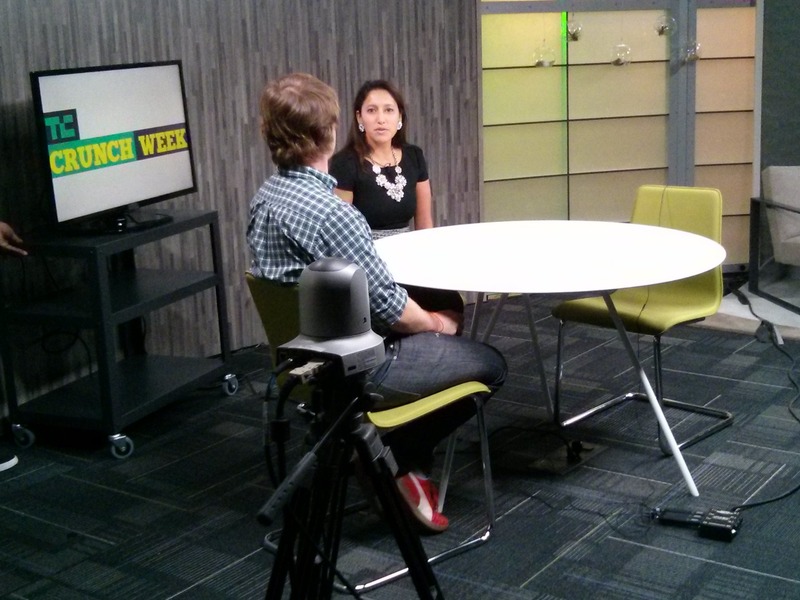 TechCrunch TV episodes shot on their new sets will start rolling out over the next few weeks. Until then, here’s a few pictures of what those might look like.